Country musician Jon Pardi and members of the All Nighters performing at the Palomino Club last November. The new Palomino will still feature some country. Here we go again. 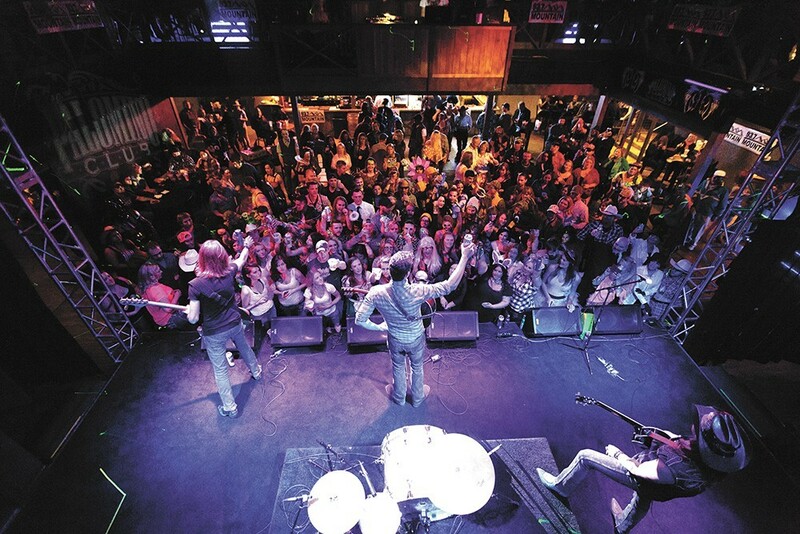 Halloween marks the opening of Spokane’s newest music venue, the Palomino. No longer the Palomino Club, which has been closed since around June, but the Palomino. It’s a brand new enterprise run by local music producer/DJ/promoter Marc Fechter. Not even open for a year, we knew something was up back in June when the scheduled (hed) PE concert was moved to the Pinnacle Northwest downtown. In speaking with owner Fred Lopez at the time, he made it clear he wasn’t looking to close the venue entirely, but was looking to sell. Plans were up in the air. In the last couple weeks, Fechter has been in negations with Lopez to lease the 500-person capacity space. All of this is so new; Fechter doesn’t even yet have keys to the building. Fechter says he chose to stick with essentially the same name to save on signage for the club, but this is a brand new company. Fechter plans to be open Wed-Sun starting after the Halloween show. The venue will offer a food menu and a variety of entertainment like improv comedy nights, Top 40 club nights, blues and jazz nights and ladies nights. But the defining feature will be rolling out a concert lineup of national acts as well as local band shows. Tucked away up north off Division, the Center had come and gone prior to Lopez opening his venue. It was Spokane EpiCenter before that. Fechter says there’s not much to update with the space, it was renovated last year with high-end light and sound gear, three bars and even new bathrooms. Fechter, who is running the place with his girlfriend Wendy Jordan, says they’ve each been putting on Spokane events for 10 years. They know what to expect.